When I posed for this picture a few years ago and made it my Facebook profile picture I was trying to make a statement about my view of non-Christians. Since then it has come to symbolize much more, namely my attempts to also not judge other Christians. For I know first hand that just because two people call themselves "Christian" does not mean their "religion" is the same or even similar. I grew up in a very conservative fundamentalist church and over the years have evolved (grown?) into a much different person. Most people call me liberal. While this process has made me much more open to ideas that are "more liberal" than me and to the non-Christians and non-religious of the world I have struggled to be as accepting of those who represent the form of Christianity that I left. 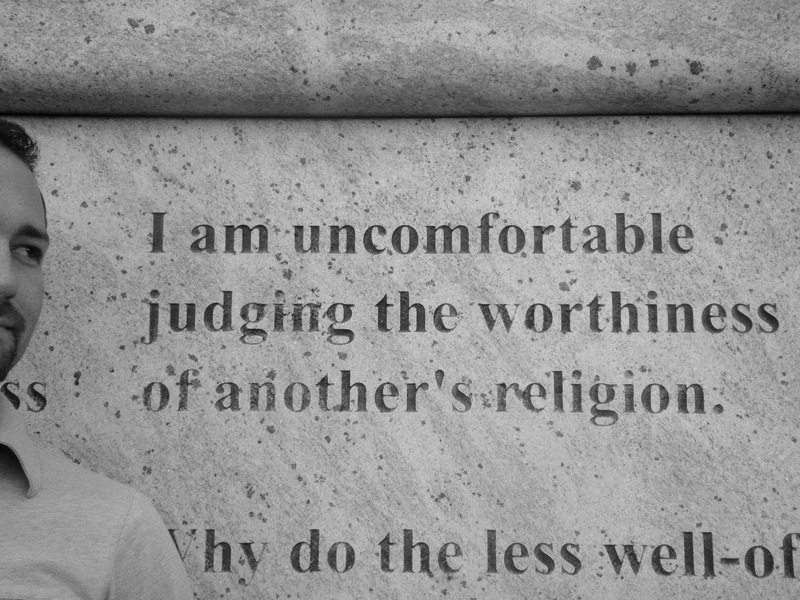 Just as I am uncomfortable judging Islam, Hinduism, Buddhism, Agnosticism, Atheism, and the like, I am becoming more uncomfortable judging my fellow Christians who happen to be more conservative than me (which, let's be honest, is most Christians). So, for this Rally to Restore Unity I may not have a cute quip that is winsome and socially hip, I do have an honest glimpse into my own struggles at unity. Be sure to check out all the Rally to Restore Unity posts on Rachel's site and work for unity when and where you can.